At this time of year, it’s all about indulgence, whether it’s those selection boxes or Christmas dinner. For me, I love, love, love food. When I was younger, I got to eat basically whatever I wanted to do because I took dance classes every night. Now I’m older, if I want to enjoy chocolate, I have to balance it out with getting a little sweaty. I know, jogging every single day is dull so I’ve got a few ideas of things you can do that are a bit more exciting and hopefully more effective! I’ve followed this book twice before but I am actually starting it again now which will lead me just into the New Year. It’s basically a 28-day series of challenges based on fitness and well-being. As well as being encouraged to follow the workouts, you get a confidence boost with the challenges and you are encouraged to pamper yourself once a week too! 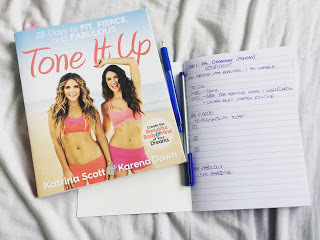 The book plans out your days for you but due to my schedule, I’ve had to mix up the challenges a bit! NOTE: If you want more choices of workouts, follow the weekly schedule online and sign up for the January challenge! If you really want to push yourself and have quite a bit of spare time, I suggest you sign up to the website right now! 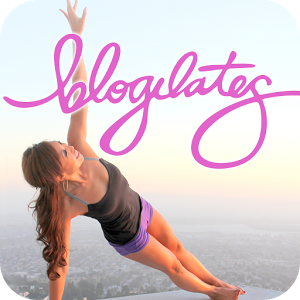 There is a new calendar every month but for beginners, there’s a seperate one to introduce you to the world of Blogilates! If you don’t want to do all the workouts, just choose a couple every day or visit Cassey’s Youtube channel for tons more to choice from! I love these little challenges! Even if you can’t fit in a full workout, there’s loads of challenges going around on Google targeting an area, be it your bum or your arms! This website is a recent discovery for me and I love it so much! If you’re a fan of a follow-along video that is short and sweet, this is the website for you! From HIIT workouts to videos targeting your legs or abs, there literally is something for everyone! The only magazine I subscribe to now! 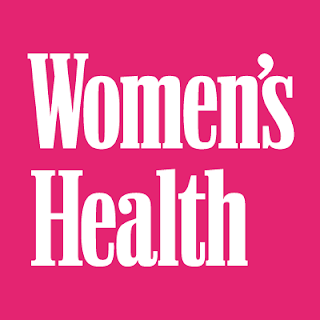 The magazine is full of tips and tricks in terms of fitness, health and beauty as well as follow-along workouts. The corresponding website has more videos and links to other websites for even more tips!